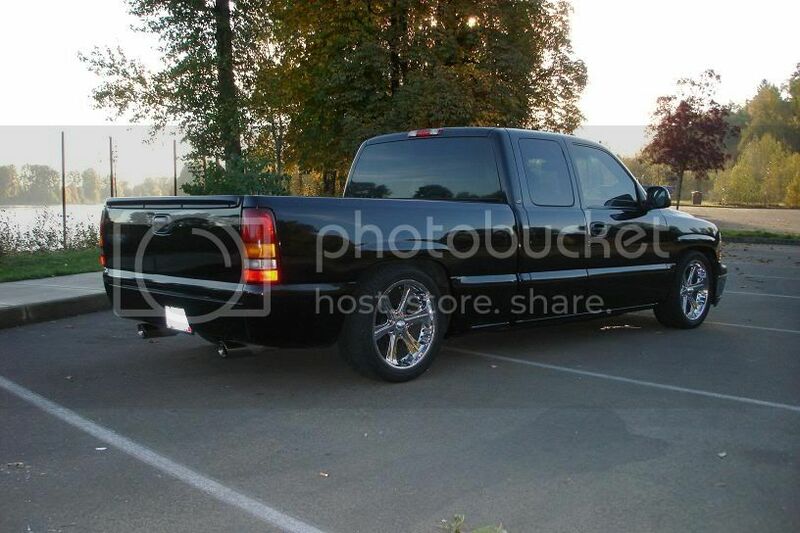 I don't imagine anyone wants to see pics of my Dodge, but here's Missy's '03 SCSB fleet. Hello all I am new to this site and like to to say thank you for letting me join. 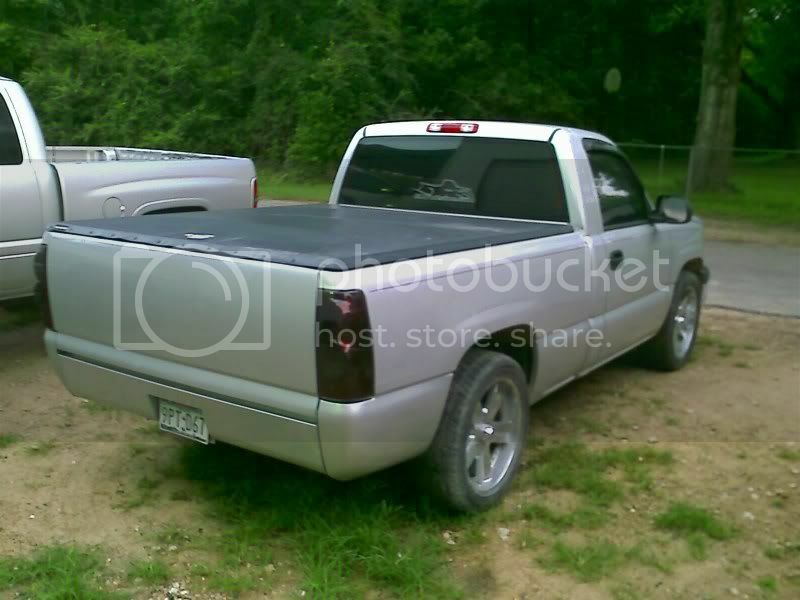 I have a 2005 Chevy Silverado, 2wd short bed step side. 5.3l v-8. So far I have put flowmaster muffler and cold air intake for my performance parts. For cosmetics I have removed all badges, door moldings and pin stripes. I look forward to hearing any and all suggestions on what to do next and down the road. The vehicle is my daily driver, but I still feel the need for speed. Thank you. Here is some pics of the '07 I will have to dig up some pics of the '00 unless you want one of the cab sitting on the frame like itt is now. Funny how things escalate (sp) into such big projects. "We, the unwilling, led by the unquailified, have been doing the unbelievable for so long with so little, we now attempt, the impossible with nothing"
Truck looks good man. Sittin Right. my 06 rcsb. 2/3 drop. 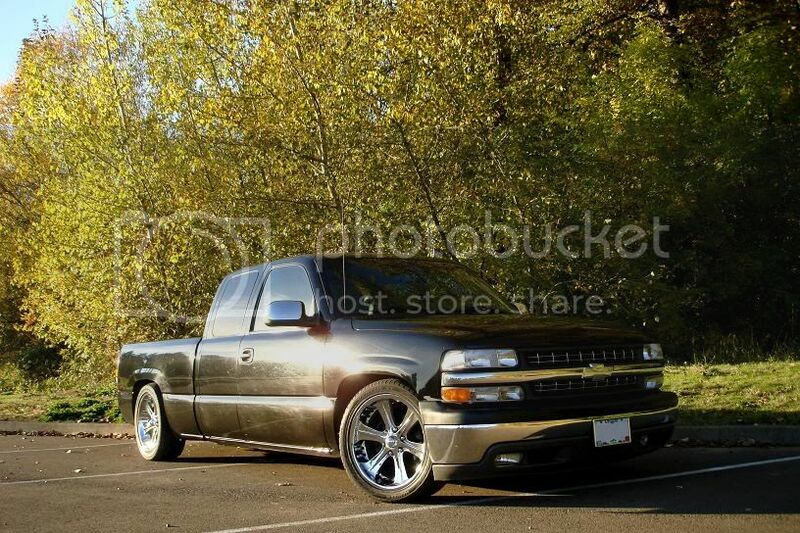 Here are a couple of my 99 Silverado extended cab. It has the 5.3 in it and it does a good job. I pull a 16' open trailer and a 24' enclosed and it has always done the job. It has 151000 miles on the clock and running good. I keep it serviced and hope to get another 150000 miles out of it. 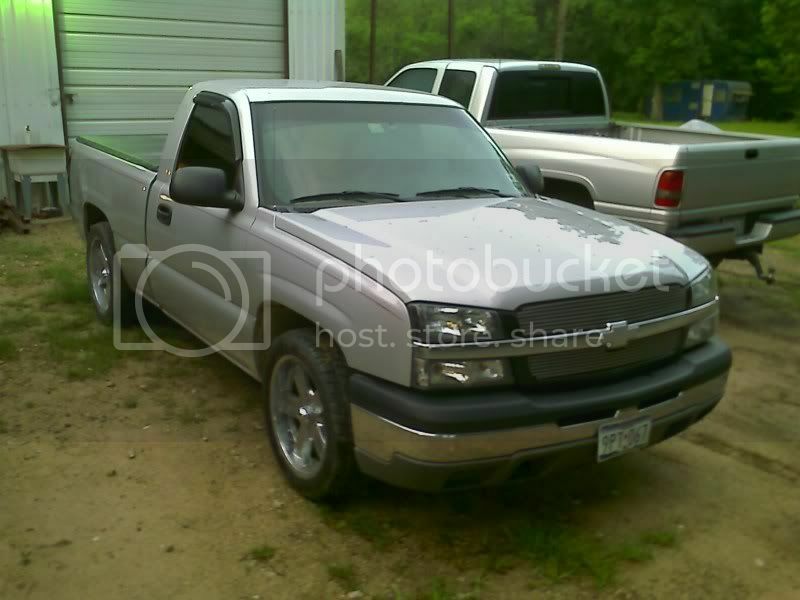 The last two pictures were two weeks ago when I ran out to Lawrence Kansas and picked up an old parts truck. We ran over 1100 miles in less than 24 hours. I'm proud of my old gal. Last edited by Ron 586; 10-28-2007 at 09:17 PM. Here's my 2000. 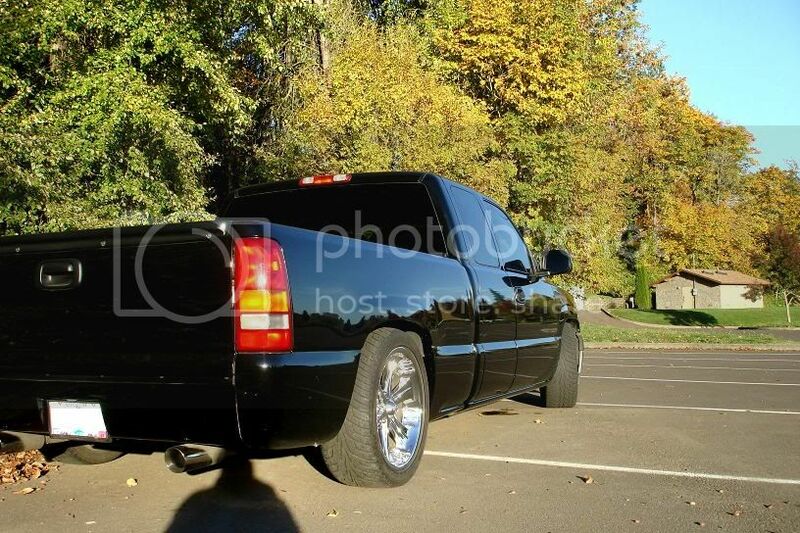 5.3/4L60E 2WD, rear lowered 2", debadged, K&N intake, flowmaster exhaust(soon to be magnaflow) Wait for me computer tune, LS1 electric fans, escalade handles, tinted windows, Truxedo soft tonneau, roll pan, painted front bumber cap. Olympia's fastest growing truck parts supplier. 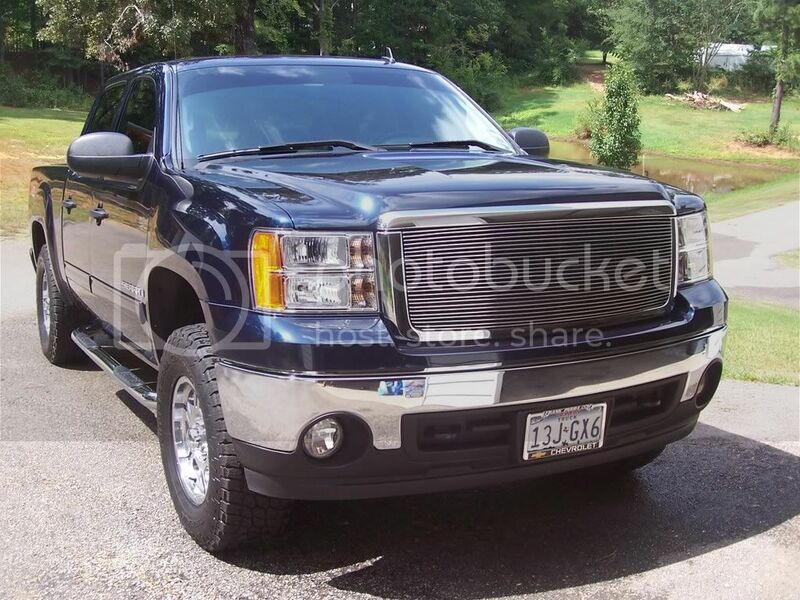 I Went White With My Previous 2006 Crew Cab 2wd, Then Some One Offered Me Way To Much Money For It, Then I Went To A Black 2006 Crew Cab Z71. They Say Once You Go Black You Never Go Back, But I Think It Is More Like, Once You Go Z71, You Know You Have Got The Right One. "See the USA in a Chevrolet!!" Last edited by jchav62; 12-28-2007 at 01:50 PM. Last edited by krazy10; 01-02-2008 at 09:05 PM. Last edited by redneckgirl; 01-13-2008 at 12:59 PM. 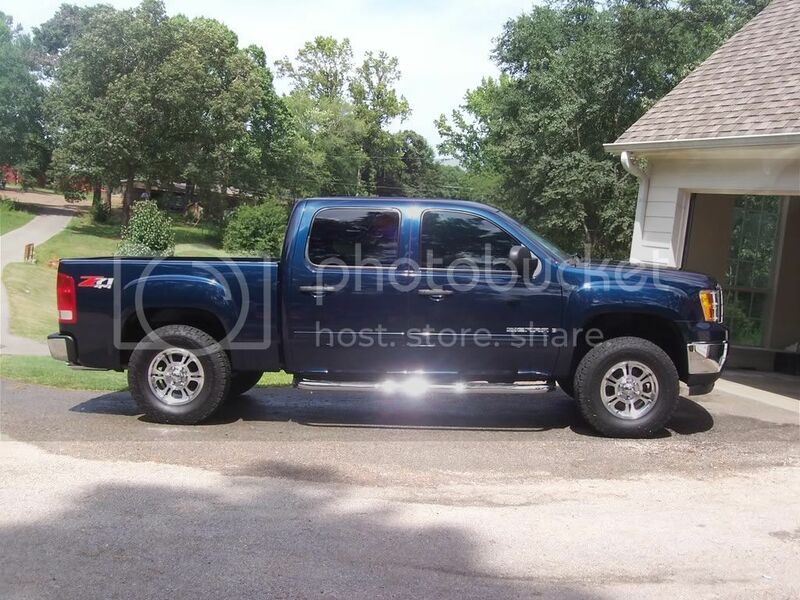 This is my 2000 GMC Sierra. 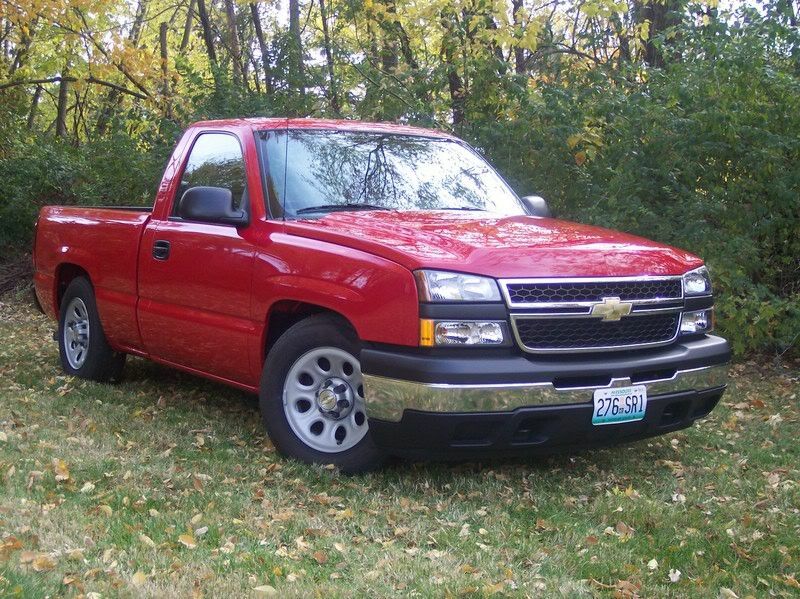 It is a 5.3 liter and has 48,000 original miles. This is the first that I have ever owned. chrome makes it go FASTER! Here's my 2000. No mods so far,Spent all my money on gas. and she brings me beer. She can stay for now. Here is my 06 New and then customized.